Oregon's young defense allowed 45.3 points per game in conference play last season. HOLLYWOOD, Calif. — After spending most of the past decade carrying the flag as the hippest team in college football, Oregon Ducks came crashing down last season. Their 4-8 record was the program’s worst since 1991, a season that reached its lowest point in Washington’s 70-21 dismantling of the Ducks in Eugene, and a result that no doubt hastened the firing of Mark Helfrich and his entire coaching staff at the end of the season. For the first time since the 1970s, Oregon went outside its inner circle to hire a new head coach. 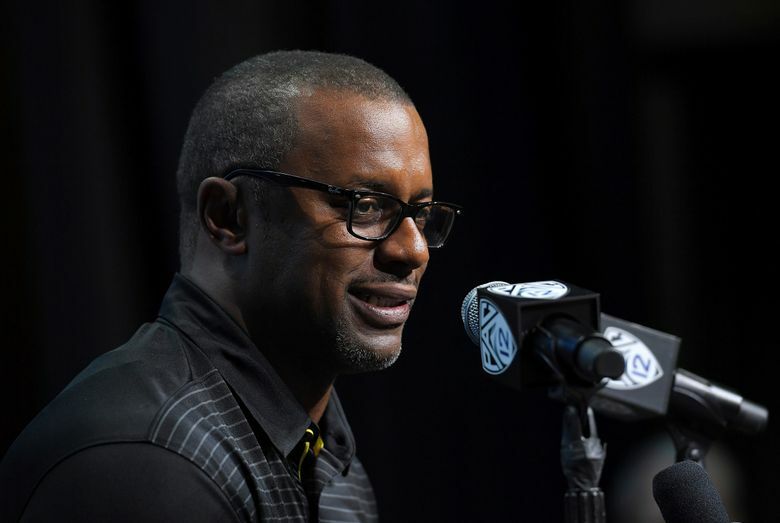 Now, Willie Taggart is trying to make the Ducks cool again. First, he’ll first have to teach them how to tackle. Taggart, coming from South Florida and a disciple of Michigan’s Jim Harbaugh, hired away defensive coordinator Jim Leavitt from Colorado — making Leavitt the Pac-12’s highest-paid coordinator — in hopes of turning around a young defense that allowed 45.3 points per game in conference play last season. Leavitt has installed a new 3-4 defense this offseason. “I feel like there’s definitely going to be a quick turnaround for this defense,” linebacker Troy Dye said. “Coach Leavitt expects a quick turnaround. He wants us to learn the playbook and he’s done a great job. He’s always telling us to come in and get extra hours — it’s never mandatory, but guys come in and watch film with him for two or three hours (on) random days. He’s always in the building and he’s always telling us to come in and work. Oregon’s offense is expected to be just fine, led by senior running back Royce Freeman and sophomore quarterback Justin Herbert. Earlier this month, Taggart dismissed senior receiver Darren Carrington from the program after Carrington was arrested and charged with driving under the influence in Eugene. Carrington is expected to transfer to Utah and play immediately this season as a senior grad transfer. As Oregon’s freshman QB, Herbert worked closely last season with then-Oregon offensive coordinator Matt Lubick. After Oregon’s coaching overhaul, Lubick eventually was hired this offseason as Washington’s new co-offensive coordinator and wide receivers coach. Herbert is also close with UW’s new graduate assistant coach, Tyler Osborne, who spent the previous five years as Oregon’s undergraduate assistant/offensive intern.